Treason as defined in the dictionary: the offense of attempting by overt acts to overthrow the government of the state to which the offender owes allegiance or to kill or personally injure the sovereign or the sovereign's family. Honor as defined in the dictionary: honesty, fairness, or integrity in one's beliefs and actions: a man of honor. 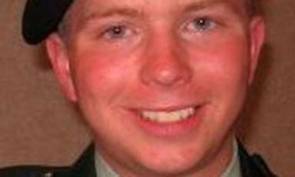 PFC Bradley Manning is only 22 years of age and has attained the highest form of shame fame by being a “traitor” to his country and fellowman. His willingness to release government documents to an anti-war sympathizer, Julian Assange, has enraged and shocked most decent Americans. The release of the documents was after he leaked a video of an attack killing two innocent men, 22-year-old Reuters photographer, Namir Noor-Eldeen, and his driver, Saeed Chmagh, 40. That in itself is a tragedy and a nightmare for the Pentagon. Manning is not an honorable man. He should pay the ultimate price. What is worse is the fact that there is a website requesting money on Manning’s behalf for his legal counsel. This same website touts him as a “Hero”. How twisted to have a website heralding Manning’s evil deed for other weak men to follow. We may all wonder how such a young man could betray his country without understanding the severe consequences of his actions. Manning’s lack of moral fiber will pave the way for Afghans who have assisted our military as informants to lose their lives. American soldiers who enlisted believing they were going to protect American interests may lose their lives. The enemy is studying the documents to ream critical information on our military’s tactics and most importantly we have lost credence in the eyes of the world. 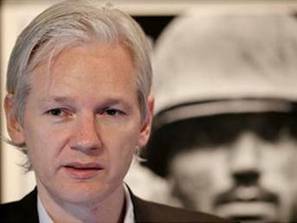 Assange speaking in London on July 26 said, “Journalists now have the same information that the Military Officials have”. He emphasized that this information should bring about prosecution of a few to create deterrence to the war effort. How disgusting and scary that this information is in the hands of “journalists” who have trouble with the truth and lack the ability to discern fact from fiction. The actions of these so called “journalists” will bring about the deaths of innocent men by being frivolous with their information. All this in the name of “Peace”! It will be sometime before all persons involved in this tragic scandal are found. At the present time rumors are that some MIT and Boston University students are also involved. How sad for our country if in fact this is true!